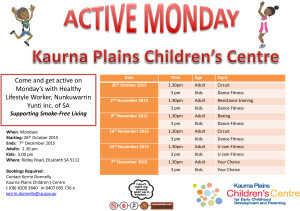 Come and get active on Monday's with Nunkuwarrin Yunti's Healthy Lifestyle Worker. 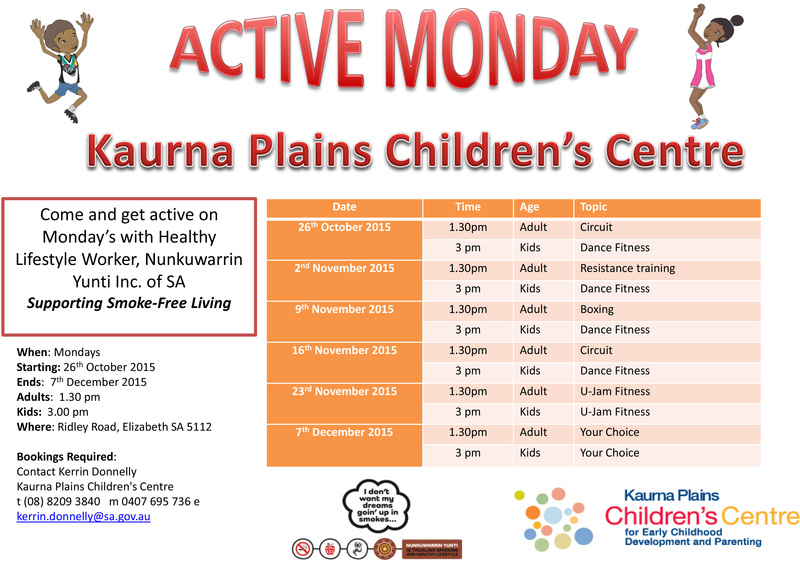 Come and get active on Monday’s with Nunkuwarrin Yunti’s Healthy Lifestyle Worker. Book with Kerrin Donnelly on (08) 8209 3840, 0407 695 736 or kerrin.donnelly@sa.gov.au.